﻿ Wyndham Grand Chicago Riverfront, Chicago (IL) | FROM $132 - SAVE ON AGODA! "Staff was super friendly, location is prime!" 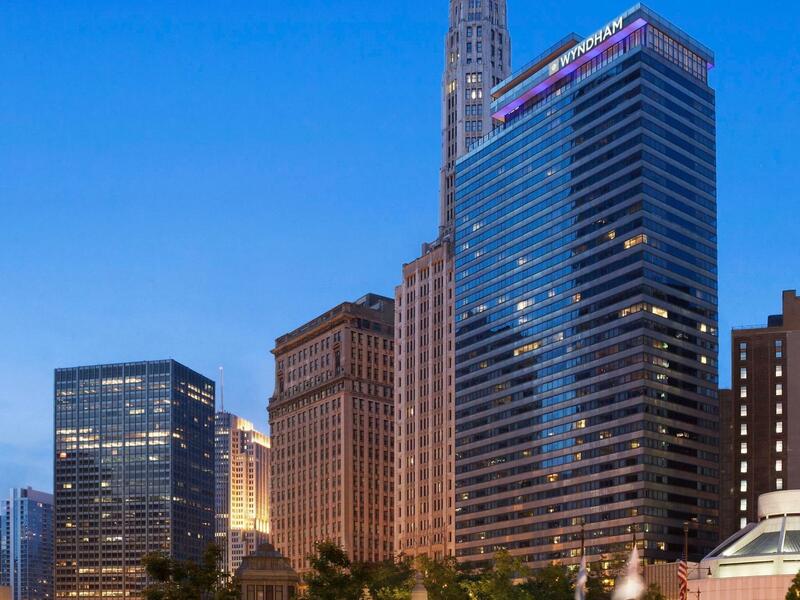 Have a question for Wyndham Grand Chicago Riverfront? "Breakfast is good choice here, staff is friendly, Room is quite big and comfy bed king bed." "Hotel is beautiful and very clean!" 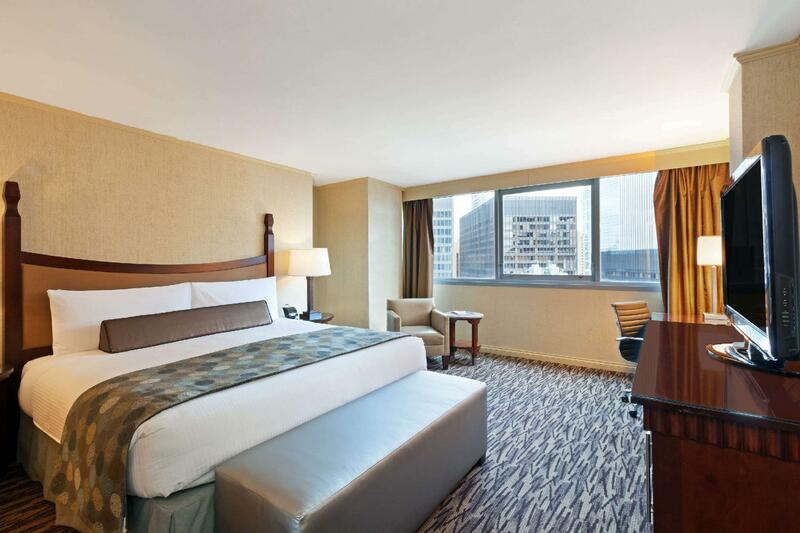 Just 4 minutes’ walk away from the shopping, dining and entertainment on the Magnificent Mile, this downtown Chicago hotel offers on-site dining, 24-hour fitness centre and free WiFi. Featuring views of the city or the Chicago River, every room at Wyndham Grand Chicago Riverfront provides a 37-inch flat-screen TV, iPod docking station and small refrigerator. Free bottled water and a coffee maker are also included. Chicago Riverfront Wyndham Grand's modern American tavern, Hoyt's, serves Midwestern-inspired dishes for breakfast, lunch and dinner. It also boasts views of the Chicago River. A business centre, ballroom and meeting space are available on-site. The hotel also offers in-room spa services and valet parking for guest convenience. The Art Institute of Chicago and Millennium Park are both less than a mile away from the hotel. The Theatre District is a 5-minute walk away. "Good hotel for stay at Chicago"
Upon check-in photo identification and credit card are required. All special requests are subject to availability upon check-in. Special requests cannot be guaranteed and may incur additional charges. The 1st night room and tax will be charged to the guest’s credit card at 18:00 on the day of arrival. Failed credit card transactions will result in canceled reservations. When booking more than 3 rooms, different policies and additional supplements may apply and will be communicated by the property. Guests must be 21 years of age or older to check-in to this property. Please note that a fee is applicable for pet stays. Only pets under 50 lb are permitted on the property. Please note the credit card used for booking will be charged USD 1 at the time of booking. Please note that breakfast-inclusive rates are for 2-persons maximum and do not include tax and tip. Guests are required to show a photo identification and credit card upon check-in. Please note that all Special Requests are subject to availability and additional charges may apply. Staff was super friendly, location is prime! Hotel is beautiful and very clean! The river view and downtown view is amazing! Très bel hôtel, parfaitement situé dans la ville, avec un rapport qualité-prix exceptionnel.